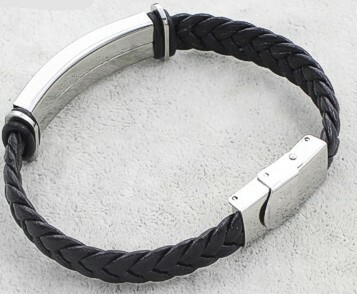 The Wolf Braided Leather Bracelet has a silhouette of a howling Wolf on stainless steel. The band is thick braided leather. This would make a great bracelet for a guy or girl.